At Knight Property Group we pride ourselves on the high standards of our work. Below we have shared case studies of several of our past developments. 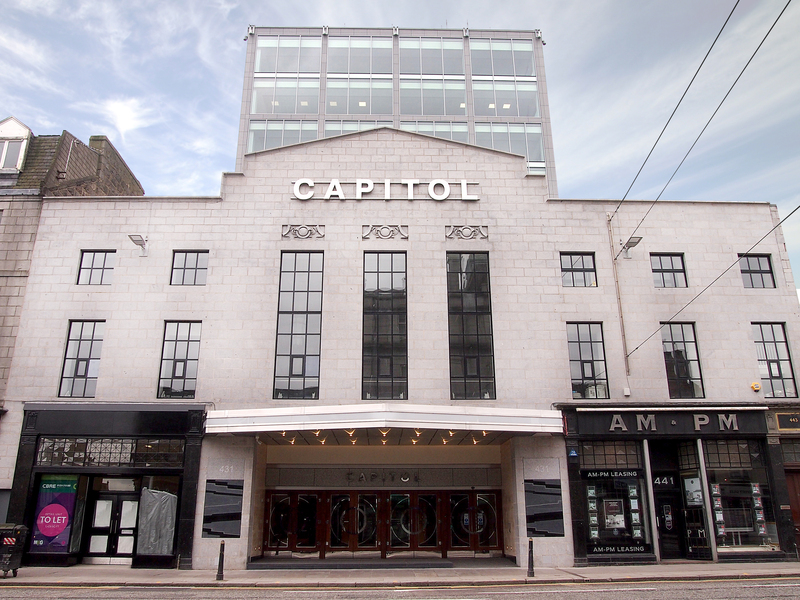 The Capitol redevelopment integrates the timeless beauty of a 1930s cinema with the quality and performance of twenty-first century office accommodation. Passing through the art deco doors into the stylish entrance hall, visitors are greeted with bespoke lighting and cool, calm granite and marble. Extending from the art deco inspired front of house, the development continues into the modern office space which benefits from floor to ceiling windows and breath-taking views over both the City and the North Sea. With all 7 office floors benefiting from 59m x 26m column free space, tenants have the ultimate flexibility to create their own environment that best suits their business. 110 George Street offers five floors of exceptional office accommodation within a classic Grade B listed Georgian townhouse. Situated within a prime City Centre location on the South side of George Street between Castle Street and South Charlotte Street, the development resides within Edinburgh’s Golden Rectangle area, benefiting from proximity to excellent retail and transport amenities. 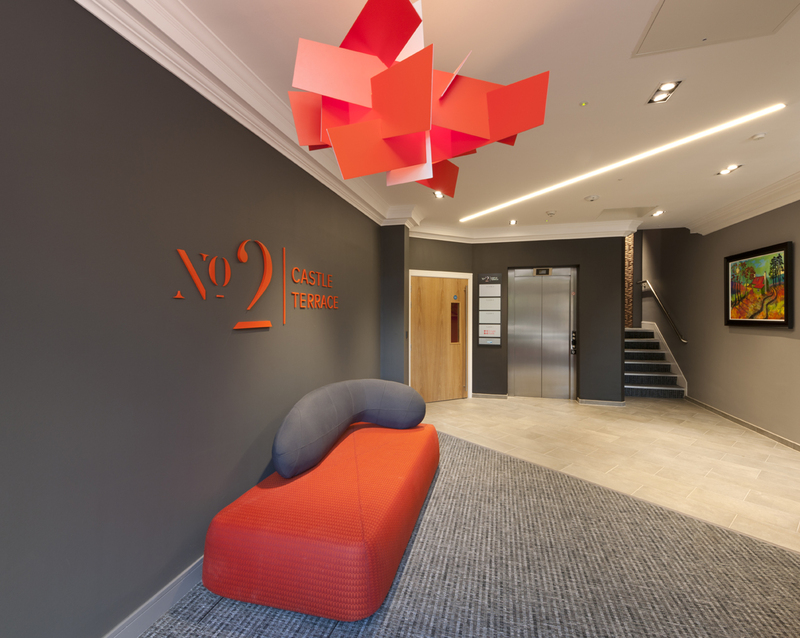 No2 Castle Terrace will offer four floors of exceptional, high specification office accommodation behind an attractive retained sandstone façade. The property lies between Edinburgh’s Exchange District and the Golden Rectangle. It is both a focal point for the city’s financial and professional services sectors and within close proximity to the outstanding amenities of Princes Street and George Street. The European HQ for Bristow Helicopters occupies the prime 1.81 acre site at Kirkhill Commercial Park. This pre-let consisted of a 3 storey open plan office and training facility with a single clear span simulator structure with 12m eaves to accommodate 4 helicopter training simulators. The Grade A office spec incorporates column-free floor plates, VRV air conditioning and a feature curtain walled entrance while simulator building has a full length viewing gallery. This site was initially developed by Knight Property Group for Halliburton as a new head office facility. The 2.64 acre site has been transformed and further developed to comprise in total a 15,000 sq.ft three storey office, 32,000 sq.ft of workshops and warehousing and a 45,000 sq.ft concrete yard set in mature landscaping with generous car parking provided. Occupying the final site at Westpoint Business Park, Pavilion 7 was developed over 3 floors for Kongsberg and incorporates ground floor lab and technical space with the upper floors forming office and training facilities. Open plan, column free space with raised access floors and high performance cladding, the project included an extensive fit-out which incorporated underground water tanks for testing and commissioning equipment. The premises were named Thermopylae House after a famous shipping vessel in Aberdeen. Developed on a pre-let basis, the HQ facility for Bibby Offshore Limited occupies the highly visible corner plot of Prospect Park and occupies 2.53 acres in total. Sitting over 4 floors the facility has been developed to a high specification containing open plan office space on the lower 3 floors while the top floor, set back from the parapet, is the gymnasium and catering facilities. The development included an extensive fit-out for Bibby which was incorporated into the base developer programme of works. Queens House provides Pinsent Masons with the benefit of traditional splendour blended with a modern open plan working environment. The original villa provides a combination of offices and meeting rooms of various sizes, accessed on the upper floors by a grand staircase. To the rear is an accessed via a glazed link, Queens House benefits from three floors of modern open plan accommodation, providing Grade A office accommodation throughout. A feature spiral staircase provides access to the top floor office accommodation which has been completed to the highest decorative standards. TAQA Bratani leased 3 Grade A office style pavilions over a 2 year period compromising 44,000 sq.ft, 18,500 sq.ft and 15,00 sq.ft respectively. The properties were all developed on a speculative basis and feature open plan floorplates, raised access flooring, air conditioning and feature entrances. TAQA House sitso n the prominent corner plot at the park entrance and these properties have become the UK headquarters as TAQA expands its operations in the North sea. Located on site 2 at KCP, this state of the art offshore training facility features classroom space for training, internal rope access and skills area and 2 pools for the simulation of offshore survival rescue. The specification evolved from institutional standard for the office and industrial facility to incorporate the many bespoke fitting out works required to operate such a facility and was implemented during the developers base build works. 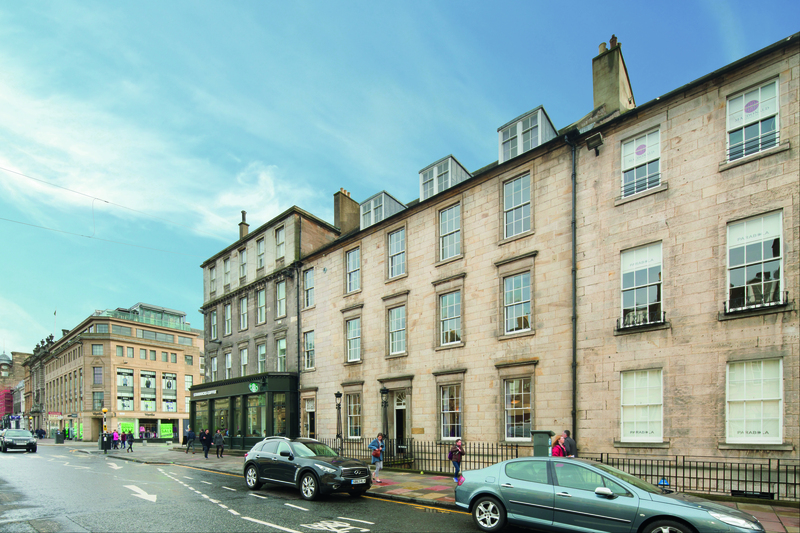 This was a strategic investment purchase of a prime block of Victorian properties in Edinburgh which had just undergone an extensive refurbishment. Multi-let to several different tenants this acquisition was made to geographically spread the portfolio.